Well, in light of the recent news of Gang Starr's Guru (real name Keith Elam) suffering a major heart attack, I figured it was time to dust off an old house bootleg I've had kicking around for a few years now and really never got to play it out enough. Well, thankfully? 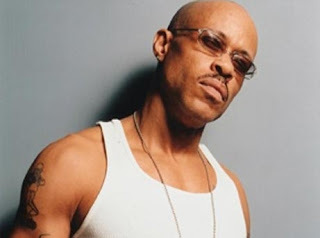 It appears as though Guru is doing well, as he issued a brief statement to his fans. So with that being said, this post will be more of an appreciation for the goodness that was Gang Starr. The first track here is that bootleg I spoke of. It was created by house music's Sona and released on the short lived Hook-Up Tunes. It looks as though this was the next to last release from the label, but they did have a few quality bootlegs. Here's Sona's remix of Gang Starr's "Mass Appeal". Next is just another old track off of the same album that "Mass Appeal" appeared on - Hard To Earn. This one is "DWYCK", which featured Nice 'N' Smooth. How's that for dating yourself. You're pulling out a one-hit wonder like them? Wow. But this is still a great tune. So enjoy it. Now, if you don't go buy this? I will cut your balls off. Unless you're Lance Armstrong. Then I only need to cut one off.